The Great Miracle Whip Versus Mayo Smackdown! A year or two ago I was reading Danny Meyer’s book, Setting the Table. Danny is the renowned New York restaurateur known for everything from the high-end Union Square Grill and Gramercy Tavern to the down-and-dirty deliciousness of Blue Smoke and Shake Shack. In his book, he writes about his childhood, and how he noticed that there was a difference in the types of families that preferred Miracle Whip or Hellmann’s Mayonnaise. As a Miracle Whip lover, I was intrigued. And yet, he said no more about it in his book. He blushed, and demurred. And right then and there, I knew. People who prefer Miracle Whip are the type of people who ask uncomfortable questions in public places…in other words, the socially less sophisticated. That’s me! In fact, I’m so Miracle Whip that even though I was mortified for a few days, I brought it up to him again the next time I ran into him at a party. I just can’t help myself. That’s why I’m sharing this embarrassing story with you! So anyway, I want to take a vote. 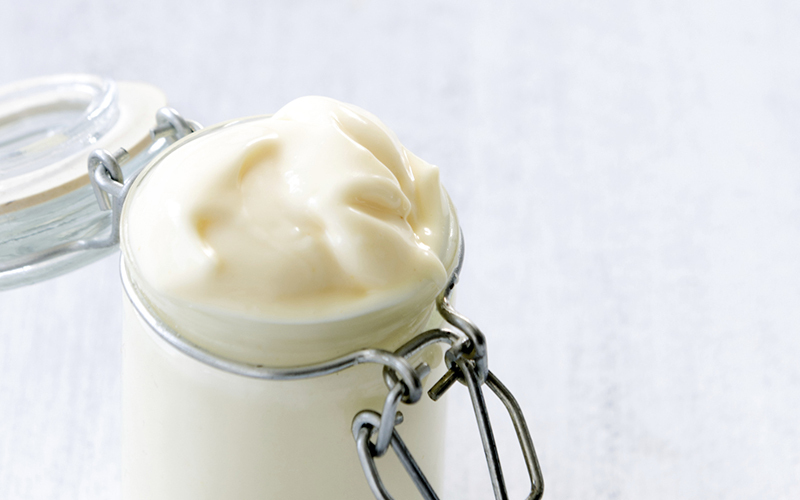 It’s time for the ultimate Miracle Whip versus mayo Smackdown. Which one will win? Vote now! May the best condiment win…but for me, it will always be Miracle Whip. Back to the Nursery…It’s Planting Time! 70 Responses to The Great Miracle Whip Versus Mayo Smackdown! Miracle whip is the only choice for people who don’t wanna be fat. Real mayo tastes better but its absolutely horrible for you. the only time I use mayo is to temper the miracle whip slighty for the potato salad slurry. other than that, it’s pretty gross. Some years ago a website Grits.com had a debate like this and it was the same as far as preferances. Mayo was the clear choice for many. Two things that came out was the preferred brand of all products was Hellmanns. Hellmanns was the choice of mayo lovers and the second thing noticed was that MW people sent the most respones mostly defending their choice rather than promoting it. Miracle Whip and Mayo taste different. I grew up with mayo and then started using miracle whip. When I accidentaly bought mayo and used it on a chicken sandwich, I realized i had been missing it for years. I like miralce whip for salads but mayo wins for sandwiches with me. I think they both probably contain soybean oil from genetically modified crops, so I prefer to make my own using olive oil. I freaken hate miracle wip,its too sweet&tangy,it gives me lock jaw frm the taste. Mayo is whats up,the real deal,us real adults are in touch with show nuff flava when it comes to mayo baby! I don’t like the way mayo tastes, but I do like how miracle whip tastes. The fat difference is remarkable and now that MW no longer uses HFCS, it’s even better! they altered ingredients and switched to BPA plastic jars. Where is the place to vote that it doesn’t make that much difference? Sure, the flavor of each is different, but that just means this tuna salad doesn’t taste like that one. Two tuna salads with the same goo, but different a different combination, lack of, or addition of celery, onion, cilantro, mustard, salt, pepper, spices, relish, nuts, grapes, and/or raisins, are going to be different. Does one have to be perfect and the rest horrid? Enjoy the variation! I have experienced the great controversy from all sides. I began by detesting both, only liking mustard as a condiment on sandwiches. (Using them as a base in salads is a whole other story.) Then when mayo came out with their non fat version, I actually liked the flavor, and not for any health purposes. Someone mentioned earlier that Miracle Whip is better for you, but that is incorrect since it is full of high fructose corn syrup and sugar. Since mayo now has no fat and lower calorie versions, it cannot be faulted in that area anymore. Mayo rocks, MW doesn’t. Mayo improves my sandwiches, MW wrecks them. IMO. I grew up on Miracle Whip and love the taste, especially on a chicken sandwich, for potato or tuna salad. I’m a calorie counter and absolutely refuse to be even one pound overweight. So the great taste and fewer calories make it a no brainer for me. Miracle Whip wins hands down. Miracle Whip was invented by Satan. I prefer miracle whip way more than any mayo. I wish some places would use it. unless it’s Connie’s whipped potato salad then is MW baby! When I was growing up my mother was a popular baker and cateress in Chicago. She always used Miracle Whip over mayonnaise in her salads, sandwiches and hors d’oeuvres and her clients loved them. So, of course we always had Miracle Whip rather than mayo at our house. I have found since that there seems to be a regional preference for one or the other. Those from the Midwest and South tend to prefer Miracle Whip and those from the East Coast and New England tend to prefer mayo. Not sure about the Western states. In any case, I was taught that it is always best to be kind, tolerant and polite about people’s food choices, even if I don’t agree. There are some extreme instances in which I draw the line, however; the preference for Miracle Whip or mayo is not one about which I get too excited. I can handle mayo, although I prefer the unique and elegant taste of Miracle Whip. Miracle Whip ALL the way!